Location Found: Gift from a friend, found in greater Cleveland area. While many people raise an eye and my wife does not understand the allure of finding a good brick but a few people do appreciate my hobby so I sometimes get a call or text asking if I have a certain brick or not. While I prefer to obtain my bricks the old fashioned way (wandering around a ravine, construction site or somewhere looking for a half buried brick in the muck) I will accept brick from friends. While visiting Jackie O’s (Athens, Ohio) production brewery and tap room, I found these blocks in the entrance way and others nearby. If you are new to Athens you will find many of the nearby streets are still made of these blocks. Jackie O’s is a pretty amazing place. This site features a small taproom, an event space, a sour beer program and solar panels that supply over 60% of the energy needs of the site. Jackie O’s Brewpub (the original location) in uptown Athens also has a good supply of blocks in the back patio area. After visiting the taproom, I visited their farm to learn about growing hops and found the wonderful pizza over you see below. Craft Beer and craft blocks go great together. But a pizza oven (which is my goal) is even better. I came across this block while getting a few stones from one of my picked over sites that I no longer check (since I cleaned it out). Looking at it, it was a bit more worn that I prefer but I noticed the reverse n in Canton so I decided to take it because I thought that was unique. While prepping this post I looked at my other Metropolitan Blocks listed in here and saw the same reversal. I am not sure how I missed that before – I guess at the time, I was just excited to find one. Below are the other entries which provide more information on this style. Made by PEEBLES PAVING BRICK CO. I had this brick for over a year before I realized this was one I had not cataloged. I was going through my pile of spare bricks/blocks for trading purposes and finally noticed that this and the other three like it in the pile did not have raised letters and thus, I have a find that was hiding in my back yard. If you are now an established Brick Hound, then you may want to get this book from the Dean of Ohio Brick Hunters Don Dzuro. 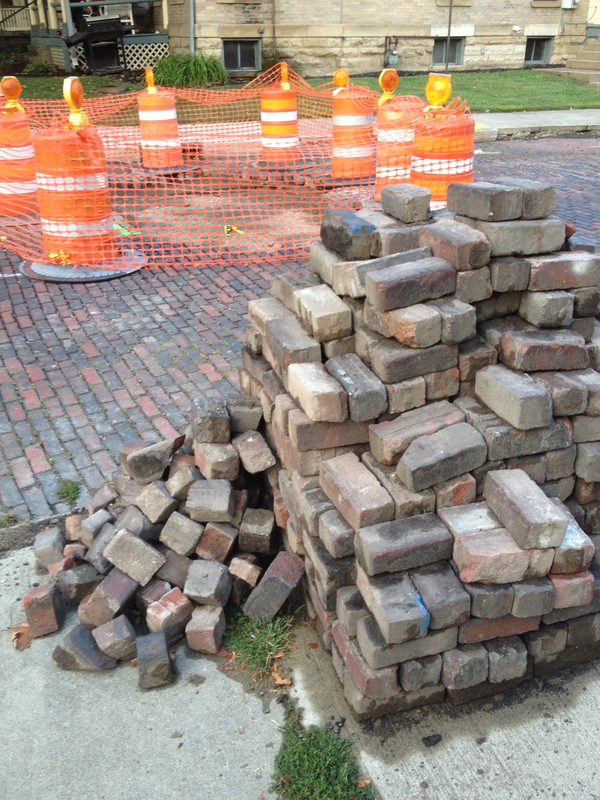 Historic Ohio Bricks is a self published, small batch compendium of Ohio Bricks that can not be equaled. Clocking in at 407 pages this book lists out information on over 2400 different bricks styles created in the Buckeye State. The listing of Brick Manufacturers and Individuals known to make bricks covered pages 348 to 406, so if you thought your Ohio brick collection was complete…..there is some daunting news for you in this tomb of knowledge. 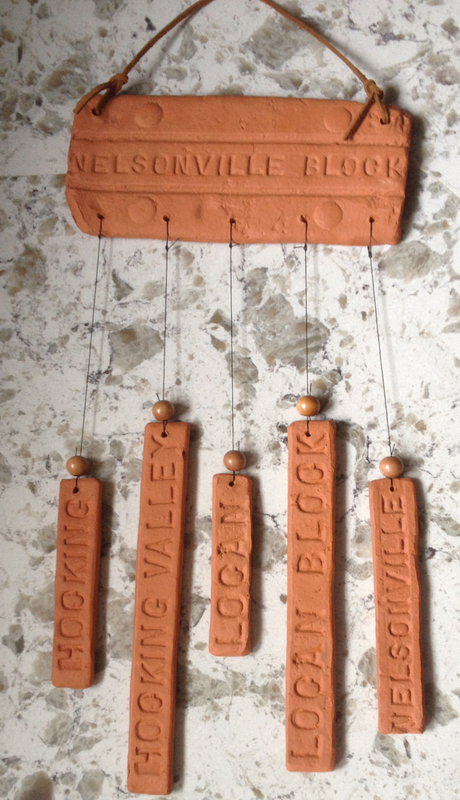 Most listings for bricks include a sketch outline, black and white photograph or color photograph of the brick as well as any known information about the brick and where it was made. You can not buy this book on Amazon or local bookseller. Your best bet is to write Don and ask if he has any left. Inquiries can be mailed to Don Dzuro, 709 Sharon Street, Akron, Ohio 44314. I did borrow the 2008 edition via interlibrary loan and you can read about that -> HERE. The new edition is very similar but does have some improvements and more information. My mom bought this for me at a craft show in Southeast Ohio. It is made out of the same clay as the pavers that is has listed on it. I do not know who made it or if they have a brick and mortar location or online sales presence but if you like bricks, they may be for you. My understanding is that you can pick from among several different brick paver names for the assortment. Many people do not know it but Columbus as one of the most progressive cities in the world for paving streets with block pavers. 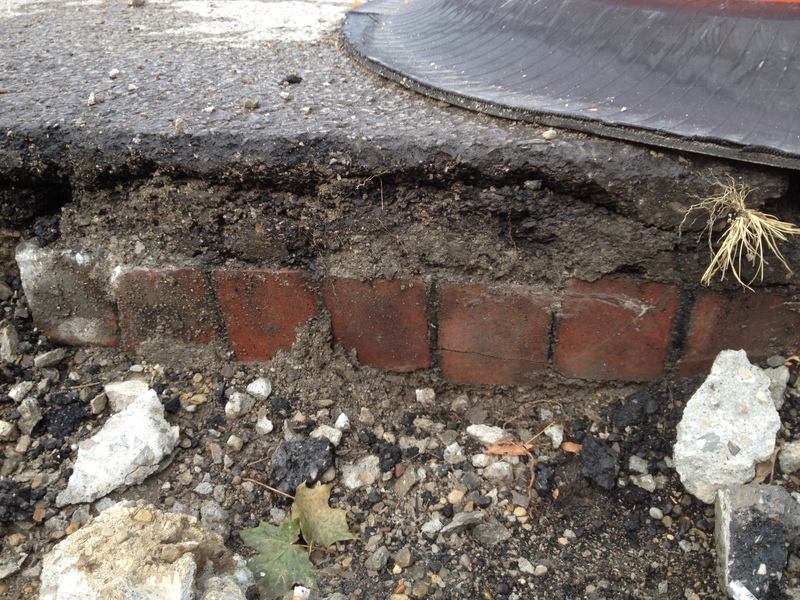 In the mid 1880’s the city had less than 8 miles of block paved roads. With the passage of a law that allowed bonds to be sold to raise money for paving the city quickly added another 80 miles of paved roads in a few years. 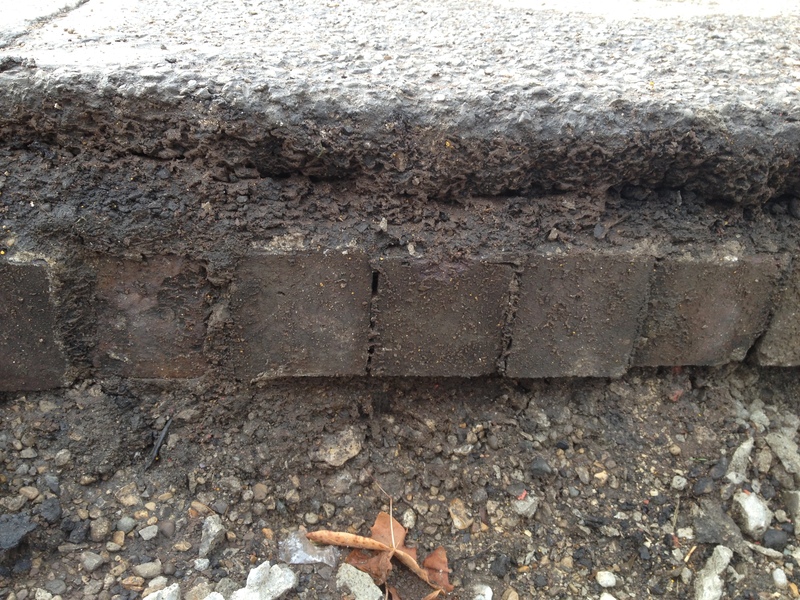 Among the blocks being used were Hallwood pavers which was owned by local businessman John Hallwood. 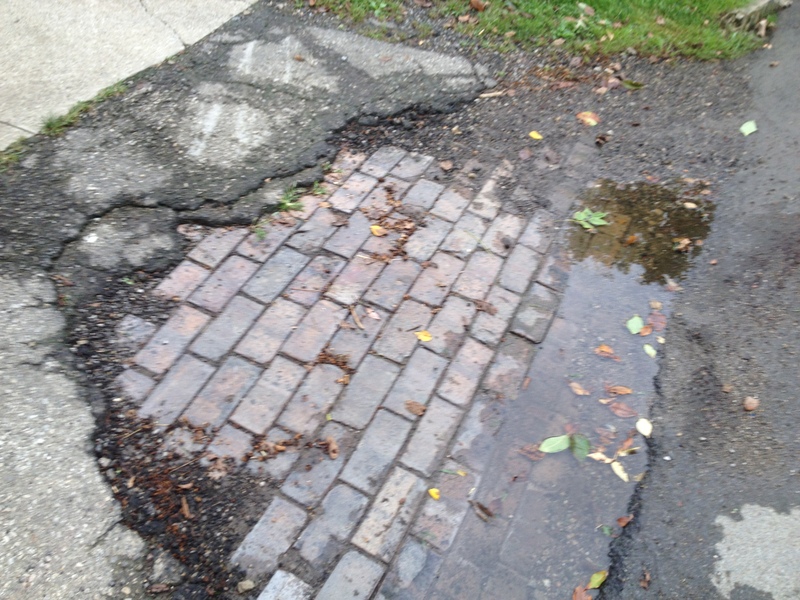 Today we still see some side roads in the full block paver / brick glory in German Village, Italian Village, Victorian Village, Harrison West, Marion Village, and parts of Clintonville. The block pavers were laid as far south as Greenlawn Ave (and many streets south), as far east as Parsons Ave….and many streets east, as far north as Henderson Road and as far west as the Hilltop. While examples of these streets may be hard to see, very few people in Columbus fail to drive over them at least once per week, if not every day. I found this example at the intersection of 4th St. and 9th Ave where construction is taking place. You can see that over 100 years later, the block pavers are still doing their job holding up the streets (I wonder how many times the blacktop has been redone here over the last 60 odd years. And not too far away on Victorian Village, I saw there pavers that were stacked up awaiting some work to be completed so they could be reset in the street they have called home since at least 1890. As tempting as it might be to pilfer from these piles when you see them, don’t even a century after the fact, this is still city property and if these brick / blocks disappear so does the historical legacy of the pavers connecting this street to its past. And finally, on my street in Clintonville, we have several driveway entrances that were not concreted or asphalted over and you can see the block pavers that were laid down on our street between 1920 and 1928.